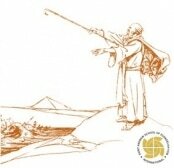 ​A study of the life of Moses, especially as it models the attitudes required for Christian leaders. The course will take participants through the Schools of Pharaoh, of Midian and of the Desert, to learn specific spiritual and leadership lessons. It unveils the deep depression of Moses, his requests of God, and his trials. It discusses the qualities of his collaborators and the power of a leader’s intercessory prayer. This course is especially beneficial to those in leadership positions as they learn, from the experience of Moses, that no leader “owns” their position, it always belongs to God as does the work to which they are called. ​The Course has been a time of healing, revelation and clarity. Many questions that I have pondered on have been answered.